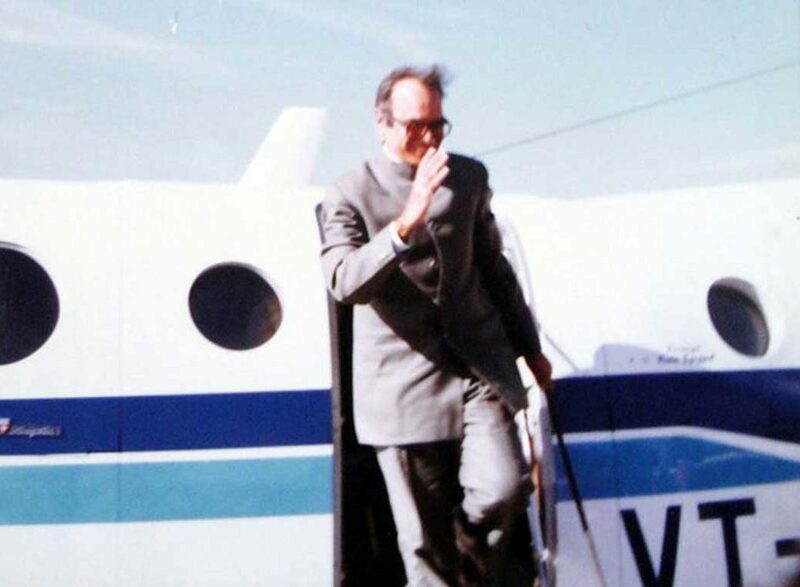 When Governor Satya Pal Malik lately extended amendment in the 1954 Presidential Order, memories of the controversial Jagmohan-I era returned to haunt Kashmir. Passed in absence of the state assembly, the controversial amendment is seen as a move towards repealing Article 35-A. While maintaining a high pitched rhetoric over Articles 370/35-A, the unionist camp has been silent over the recent amendment, despite promising a court battle. After Farooq Abdullah boasted that he would be responsible for the second partition of India, his “mummy” Indira Gandhi not only dethroned him, but also her cousin Governor BK Nehru of Nice Guys Finish Second fame in 1984. In his shoes, then walked the man whose reign as vice-chairman Delhi Development Authority had witnessed the chilling Turkman Gate Massacre. Then Raj Bhavan’s new entrant—Jagmohan Malhotra—was sent more of an emissary, than a usual office-bearer. By 1986, Jagmohan lived up to his reputation as 1, Safdarjung Road’s loyalist. That year, he illegally gave a consent to an amendment in 1954 Presidential order, giving New Delhi power to legislate, not only in State List, but also those not mentioned in the Union List or the Concurrent List. The then Law Secretary GA Lone termed the amendment as a “grave constitutional impropriety”. Not only because the manner and method employed in applying the constitutional provision was dubious, he said, but also because “the Governor in absence of a Council of Ministers is not competent to grant such concurrence and change constitutional framework”. The brazen decision was challenged in J&K High Court by two senior National Conference leaders — Abdul Rahim Rather and Mohammad Shafi Uri. The petition, however, was binned, just like NC’s Autonomy draft, years later. There were two more amendments made to 1954 Presidential Order during Governor rule in 1993 and 1994. These orders were issued to extend the duration of president’s rule in J&K. However, in 1972 Mohammed Maqbool Damnoo versus the State of J&K case, the Supreme Court of India, while dealing with the replacement of an elected Sadr-e-Riyasat by New Delhi’s appointee Governor, had made it clear that a Governor is head of government aided by a council of ministers. Thus, the current legal position on the issue is clear: The Governor cannot give consent to amend the 1954 order under Article 370 in the absence of an elected state government. Yet, years later, the governor again abused his office by extending another amendment to the 1954 Presidential order. On February 28, 2019, New Delhi decided to extend 10% reservation for economically weaker sections in education and government jobs in Jammu and Kashmir by amending the Constitution (Application to Jammu and Kashmir) Order, 1954, Indian finance minister Arun Jaitely said. Notably, Article 370 of the Indian Constitution grants autonomy to the state of Jammu and Kashmir. The article stipulates that all laws passed by the government of India have to be approved by the Jammu and Kashmir Assembly. “It is for this reason that JKNC will consult eminent lawyers tomorrow to see how best we can challenge this blatantly unconstitutional order in court,” Omar had said. His political rival Mehmooba Mufti also pledged to fight the amendment in the court of law. Those who understand it know this recent amendment was done as a test case to create precedence so that whenever New Delhi wishes, they will take the same route to repeal Article 35-A by another amendment to 1954 Presidential order after getting a consent from their own appointee and extension – J&K Governor, Jaleel said. With Lok Sabha elections around the corner, BJP has already reiterated that the special status of Jammu and Kashmir, especially the Article 35-A has to go. In that case, Mehbooba Mufti warned, the Accession of JK with India will have to be renegotiated with new terms. Her nemesis, Omar Abdullah went a mile ahead—saying that in case of any “judicial misadventure” the Constitutional Autonomy will be restored to its pristine form by bringing back the post of Prime Minister and President back to JK. But the argument that if New Delhi unilaterally abrogates Article 35-A, it will turn J&K quasi sovereign is flawed and wrong, Jaleel argued. But while maintaining a strong stance in public for ‘defending the special status’ of the region, legally both the parties have not gone beyond the rhetoric. When asked about their pledge to fight the amendment in 1954 Presidential Order, PDP’s senior leader simply passed the buck. Even the other senior party leaders are maintaining an ambiguous stand on the issue. Otherwise vocal on social media, most of the party leaders are assuming a dubious stance as far as the legal battle is concerned, like they had maintained on Article 35-A when in power. You are not yet anointed the Shah of Hindustan that you could do it. We will use all legal, political, constitutional avenues to defeat this design against us. Kashmir is not anybody’s Jageer. However, NC, despite promising the swift court battle is far from taking one. “The doors of the court will be knocked very soon,” Ali Mohammad Sagar, NC General Secretary told FPK. While both the parties have not gone to the court, till date only a single petition has been filed against the amendment in 1954 order by two lawyers of the Jammu and Kashmir Bar Association. And now, as New Delhi has made its intentions clear on the issue, both the unionist parties—except sounding like ‘rebels’—have done nothing concrete about it. Given the history of amendments and the traditional stance of local unionists on them, Kashmir is only staring at another Jagmohan-era type constitutional coup.